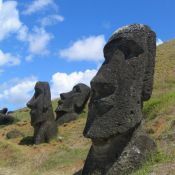 Everyone associates Easter Island with its moai statues, but there's more to it than that. Try our Quick Quiz and see for yourself! 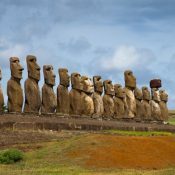 A row of fifteen standing moai, the famous stone statues of Easter Island (Rapa Nui) in the South Pacific.